Audio engineers make many choices about how to allocate money while designing a product. “Cost no object” engineering implies no compromises. If you throw enough money at something, you have a pretty good chance of building an exemplary product. The penalty, however, is a higher selling price, sometimes for relatively little gain in performance (indeed, some very expensive audio products, while perhaps beautiful to behold, don’t perform better at all). “Mass market” designs, on the other hand, can provide a much larger consumer base. However, the demands of the mass market call for extremely cost-conscious engineering to keep the units inexpensive. Thus, in an effort to attract consumer interest, these products tend to be feature oriented rather than performance oriented since performance parts always cost more. We don’t follow either path. Great sound comes from informed engineering, not necessarily high cost. No single design aspect will be emphasized at the cost of lower performance elsewhere in the product. Balanced Design revolves around three major areas: Parts selection, circuit topology, and critical evaluation. These aspects influence final sound quality significantly and illustrate the holistic Balanced Design approach to product development. Consider this example of the Balanced Design Concept in action: Capacitors are available in the same specification at many quality levels. An important use of capacitors in an amplifier is to filter unwanted current ripples from the power supply and provide reserve power when it is needed the most. A low-cost electrolytic capacitor may meet the basic spec required, however our engineers know there will be significant negative impact on sound quality if an inferior capacitor is used. Instead, our engineers select a premium capacitor which provides better performance across both power and frequency spectrums to produce a more accurate and musical reproduction of the audio signal. High quality power supply capacitors provide a more efficient transfer of energy with fast charging and discharge time to ensure the circuits have the reserve power when needed. “Slit Foil” and T-Network electrolytic capacitors from the UK; Rubycon electrolytics capacitors from Japan; LCR polystyrene capacitors from Wales; high precision thermal and frequency stable metal film resistors designed in the UK; Analog Devices, Texas Instruments, and Burr-Brown ICs from the United States. These are just a few examples of the globally sourced components utilized in Rotel products. These are the same high performance parts that many expensive products from esoteric brands underscore as part of their claim to better sound and commonly found in Rotel designs. It’s not enough to simply use good parts. Where you put them is equally if not more important. That’s why we keep circuit paths as short as possible; there’s less chance that spurious emissions and unwanted leakages will corrupt delicate signal nuances. That’s also why we often use more expensive “on-board” relay source switching, rather than routing a signal from a rear panel input to a front panel control. We also rely heavily on something called Symmetrical Signal Trace design. This keeps each channel’s signal path identical to the others to preserve the imaging and soundstage. We also use electrically superior “star” grounding techniques to improve performance because star grounding routes all ground connections to a single point to reduce potential loops that might introduce noise or produce hum. Further, Rotel’s Class A/B amplifiers don’t use output inductors because they decrease control and, consequently, sound quality. For most companies, having the right parts in the right places would be an achievement. We go one vital step further. Over the years, we have found that critical listening is as important, if not more so, than even the most sophisticated instruments in the hands of experienced engineers. That’s why the Rotel development team places such importance on critical listening sessions. Actually, “listening” doesn’t quite describe the process. Our electronic and acoustic engineers, both in the UK and Asia, have honed their aural acuity over the course of decades of collective experience to evaluate each stage of product development from working samples, through pre-production and, finally, to verify that final production is the same as the pre-production units. Some sessions evaluate different circuit elements: capacitors, resistors, and active devices such as transistors or operational amplifiers. Others focus on differences in circuit layouts or differences caused by power supply elements. Only after this tuning process is complete with sonic performance confirmed will the product be launched to the market. The development process of a new product is critical and uncompromised. If needed, mass production will be delayed until a critical aspect is complete to ensure the new products can proudly represent the Rotel brand. We don’t ship products prematurely only to “finish” them in the market. Balanced Design didn’t come about by accident. It evolved because Rotel engineers are, first and foremost, music lovers who labor over their designs like proud parents. They listen to the results and then tweak and adjust circuitry until the new product meets the team’s exacting standards. Make no mistake; the “price/performance ratio” is a constant engineering challenge. Building a range of electronic components that provides reliable and affordable high-end performance has kept many a Rotel engineer up until the wee hours of the morning. But this is our greatest strength. 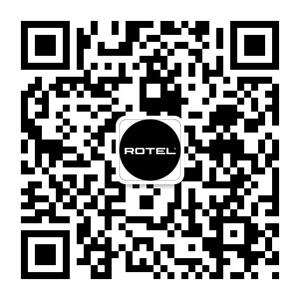 Simply stated, Rotel provides the best value in affordable, high performance stereo and home theater components. Thanks to Balanced Design, Rotel components easily exceed the performance of many mass produced audio products that offer plenty of features but skimp on audio quality, and compare favorably to components that are many times the price. We’ve earned our reputation for excellence. Just look at the hundreds of rave reviews and awards from respected critics who listen to world-class components every day. Brand name is secondary to these seasoned reviewers. Faithful reproduction of the original musical performance is their standard of measure. Favorable comments bestowed by these keen ears have long testified to the success of our mission—the pursuit of extraordinary audio performance, which elevates the home entertainment experience through the core values of sonic accuracy, reliability, and affordability.